RUSH: Okay, well, we can’t find, ’cause it may not exist… I don’t think we’ve got an actual sound bite of Tom Daschle complaining about Democrat experts discovering that liberal Democrats listen to this program. That’s really what it was. This is back in 2002. It’s after the midterms. We talked about this in the first hour, so I’m closing the loop here. I don’t want to leave anything hanging out here. Daschle said that their experts did a study of the audience of this program, and they were shocked. Tom Daschle was the leader of the Democrats in the Senate at the time, and he was shocked that liberals and Democrats listen to the program. That’s what it was. He believed up until that time the only people that listen to this program were like-minded conservatives and Republicans. Therefore, they weren’t really worried about it. Then their experts told me them two things. Not only do liberal Democrats listen, but the earth-shattering revelation was that some of them actually change their minds and abandon the Democrat Party. Now, I think I read that Daschle said that. I don’t think I ever heard the sound bite. But we have a sound bite of me. I was interviewing Bernie Goldberg. He was on the program. It was January 23rd, 2003, and this is me explaining. Goldberg was making the point that my program had a universe of listeners far beyond just Republican and conservative. RUSH ARCHIVE: You know what we found? We deducted… We listened to Daschle’s comments and he actually said, “Experts have told us that,” and he said something. I don’t remember his exact words, but the upshot of it was that we figured they had some internal polling, Bernie, which indicated that my audience is indeed what you just said. It’s not rock-ribbed, it’s not totally conservative, that the people who listen to this program… I mean, that’s the key to me being an entertainer business. I think they found out a lot of liberals do listen to this program and like it. RUSH: Right, and he went on to say that changed their minds. When Daschle made the announcement, he was shattered. And this has to do, if you missed it, we played that sound bite of Obama at a secret speech in Boston where he once again blamed me and Fox News for causing the Balkanization of thought and opinion in America. Before me, we all had a common set of facts that we were reported every day on the three network newscasts. And then I came along, and after that Fox News came along, and Obama was lamenting the day. And Daschle blew a gasket apparently when I exposed his wife as a big time lobbyist for American Airlines or whoever she was lobbying for. Anyway, I had forgotten so much of it. My memory is impeccable, but I had forgotten how deeply irritated with me Puff Daschle was. 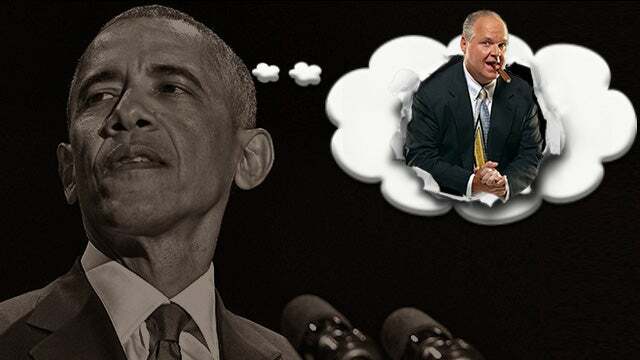 RUSH: Now, all of this has been brought back to life because Obama — rather than me repeat this, grab sound bite number 1. This is it. This is Obama at a super-secret sports meeting speech on Friday in Boston. And it is now beginning to leak out. And this is it. This is Obama blaming me and then Fox News for the fact that there’s no single set of facts anymore that Americans are told each and every day. In other words, Obama blaming me for the bust-up of what used to be a left-wing media monopoly. RUSH: See, he’s livid. Now we’ve got different realities that are being created with not the just different opinions, but different facts. And it all happened with talk radio and Fox News. Well, talk radio and cable means Rush Limbaugh and Fox News. 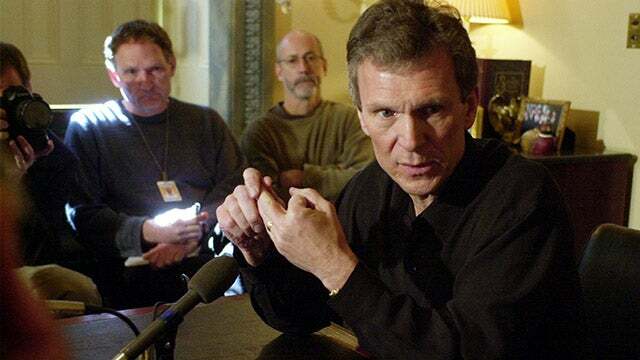 It got me to remembering other times where other Democrats have spoken out, and Tom Daschle flashed into my mind after the 2002 midterm elections. The Democrats thought they were gonna really clean up in midterm elections, and ended up losing seats. That’s never done. I mean, rarely does the party out of power lose seats in the first midterm election after a presidential race. And so my old buddy Jeffrey Lord has been listening to me discuss the Puff Daschle stuff, and he found this piece at CNN from November 25th, 2002. It’s by Dana Bash. And she’s still there. “Daschle Says ‘Shrill’ Talk Radio Spurs Threats — Sharp and ‘shrill’ commentary from some talk show hosts has led to increased threats against public officials, Senate Majority Leader Tom Daschle said Wednesday, counting himself among those who have received such threats. 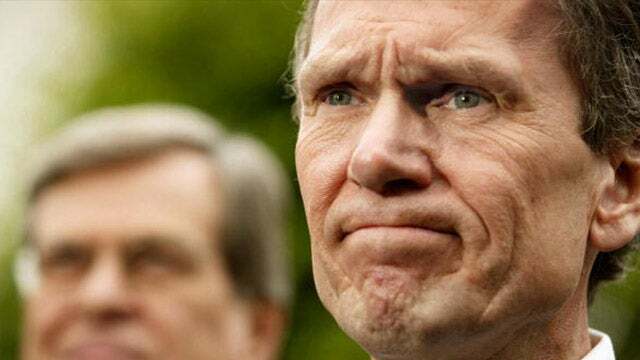 “Daschle, D-South Dakota, would not elaborate on the kinds of threats against him, but said that as Republicans criticized him throughout the year, the threats went up. ‘When I was accused of being an obstructionist, there was a corresponding, a very significant increase in the number of issues that my family and I had to deal with. And I worry about that,’ said Daschle. “Daschle credited Republicans for success in getting their message out, saying they deftly blend politics and entertainment and use talk radio to rev up their listeners.” But Daschle said, “Rush Limbaugh and all of the Rush Limbaugh wannabes have a very shrill edge. And that’s entertainment.” And this is where he gets into what their experts told them. “We were told that even people who don’t agree with them listen because they’re entertaining.” This is what he couldn’t believe. They all thought that the only people listening here were like-minded conservatives. And when they found out how many liberal Democrats are listening, Daschle called a press conference to express his shock. And then he went on to say our experts tell us this is dangerous because some of these liberal Democrats are actually changing the way they think and are sticking with the Republicans. It says here that “Limbaugh played Daschle’s comments on his show Wednesday, telling his listeners, ‘Every time the Democrats lose either elections or a major issue, they blame me, they blame talk radio, and they blame you. '” And it wasn’t long after this that Daschle and Mary Landrieu got together in her house in New Orleans and basically decided to fund Air America. (interruption) You found what bite? The Daschle bite? Oh, we’ve found it. We found the bite. I don’t have a transcript so I don’t know what they found. I was just told in the IFB that we found the bite. This could be a bite about who knows. Let’s listen together and find out. DASCHLE: Y’know, but what happens when Rush Limbaugh attacks, uhhh, those of us in public life is that people aren’t satisfied just to listen. They want to act because they get emotionally invested. RUSH: Wow. We have it. There it is. DASCHLE: And so, you know, the threats, uhh, to those of us in public life go up dramatically, and, uhhh, on our families and on us in a way that’s very disconcerting. I don’t think it’s appropriate for me to — to dwell on that or to even go beyond that. But I will say that it has created a far different dimension. RUSH: (laughing) Listen to this. DASCHLE: — and very, uhh, significant increase in the number of issues that, uh, my family and I had to deal with. And I worry about that. DASCHLE: If entertainment becomes so much a part of politics, and if that entertainment drives an emotional movement in this country among some people who don’t know the difference between entertainment and politics and who are then so energized to go out and hurt somebody, that troubles me about where politics in America is going. RUSH: That never happened here. That’s what they always fell back on is that there was all these threats and so forth. Mike, grab any… I don’t care, either one of our Daschle profiles when he decided to host his own talk show. After this happened, we created a bunch of parodies where Daschle wanted to get in on the action and started his own talk show. He couldn’t find any stations so he did it on the Web. Let me know when you have just one of those because you heard how soft-spoken he is. (impression) “I’m very concerned, Tim. Rush Limbaugh’s inciting violence against me, my family, in the name of entertainment. It’s really…” (interruption) We have it? So here’s just one of the parodies that we put together after Daschle does this. (The Tom Daschle Show parody) Right on. And there are two or three of those. Richard Nixon even called one of Daschle’s programs. RUSH: The point is these people have been trying to blame this program and essentially you for their crybaby loss of what they had as their monopoly almost for 25 years here, and it’s just another illustration of how they never change. They have nothing new. There’s no reason to be afraid of these people or even intimidated by ’em.